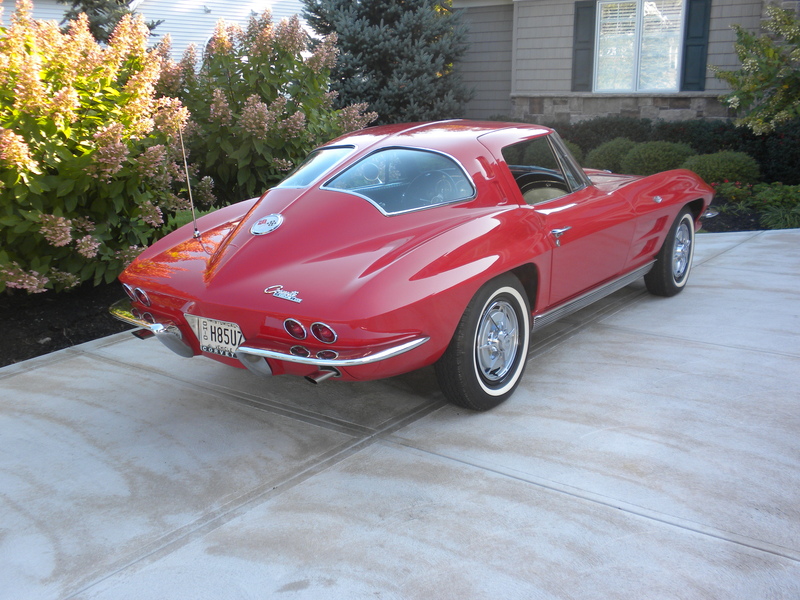 The 1963 Corvette Split Window Coupe is particularly collectible because it was produced for only one year. To improve rear visibility, subsequent mid-year coupes (1964-1967) eliminated the rear window divider in favor of a one-piece glass unit. The 1963 Coupe is the only Chevrolet that I have researched where the coupe is more valuable than the convertible. The one year split window version has become very desireable. 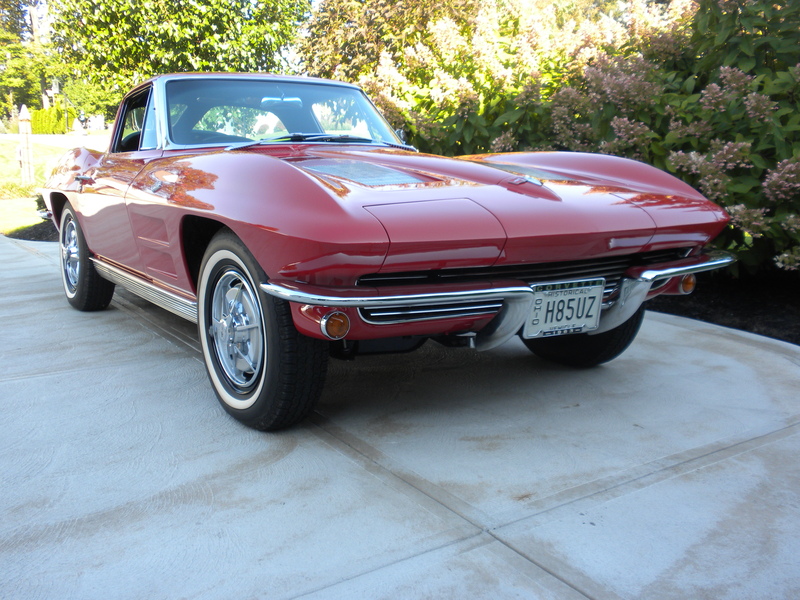 The 1963 Corvette was the first year of the mid-year models and was heavily redesigned from the 1962 version. The 1963’s were the first to offer a coupe version and the first to have a four wheel independent suspension. 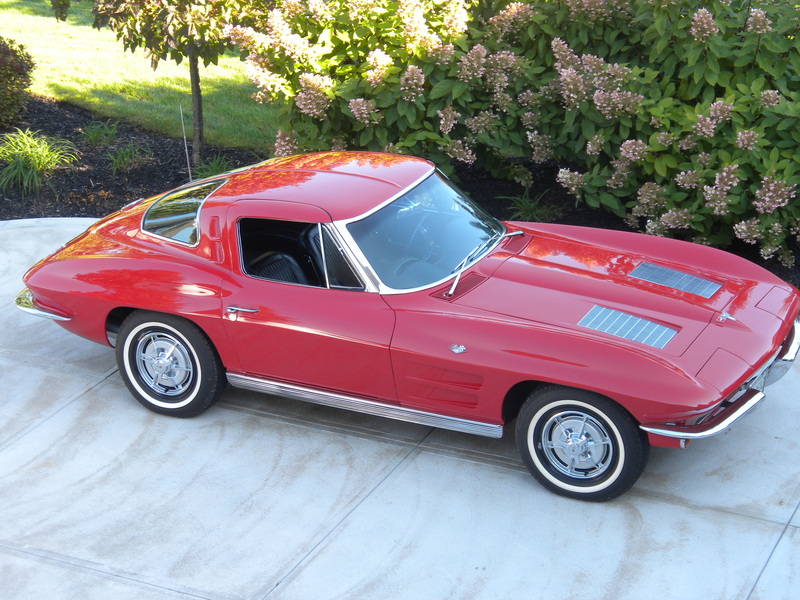 About 21,000 Corvettes were produced in 1963 of which half were coupes. Engine offerings for 1963 were a carryover from 1962 and included 250, 300, 340 and 365 HP versions of a 327 cubic inch small block V8. The 365 HP version was fuel injected. The standard transmission in 1963 was a three-speed manual and options included a four-speed manual or two-speed Powerglide automatic. My car is a 340 HP, four speed model. The drive train (engine, transmission, rear end) is all numbers matching along with the black interior, and power windows. The engine compartment had two items that were incorrect for the engine in the vehicle. 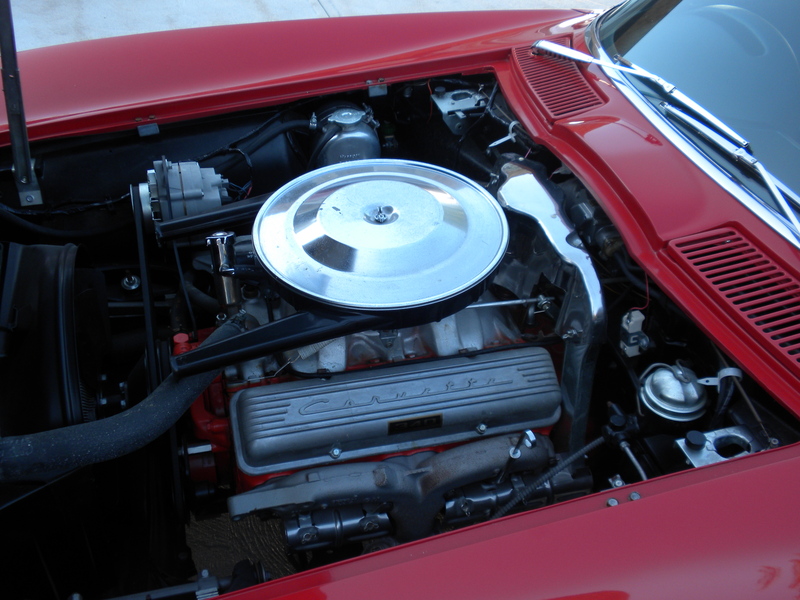 The air cleaner was a dual intake version (correct for the 250 and 300hp versions, but not the 340) and the aluminum valve covers had a casting flaw through the O in Corvette (Correct for 1967 cars but not 1963s). Both items have been replaced with original correct replacements. Also, the car is painted correct for 1963 Riverside Red although the original color was Ermine White. 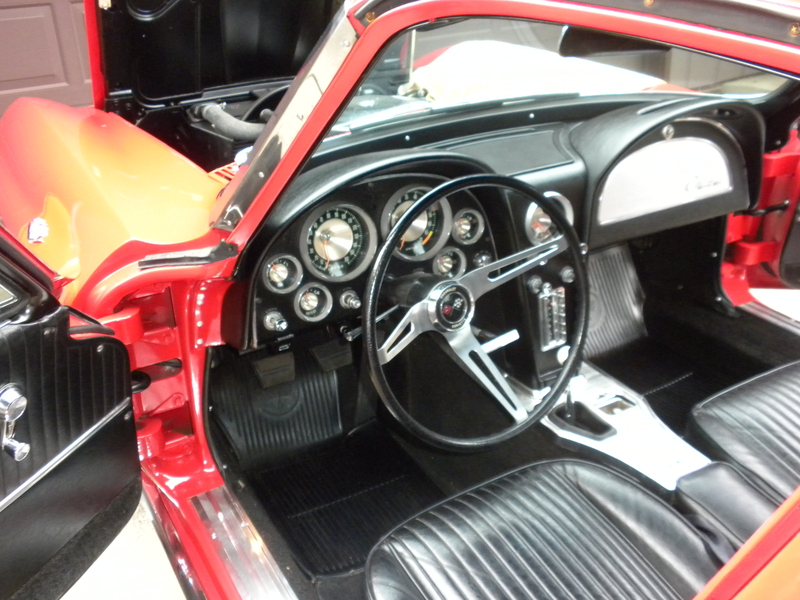 The car was fully restored in 2000 and the quality of the restoration is excellent. The previous owner bought the car in 1981 and records show that is has only been driven about 300 miles since. About 200 of those miles are since the 2000 restoration. A primary reason for the previous owner wanting to sell the car is not being able to drive and enjoy it. The vehicle now has 55,000 original miles. The 1963 Corvette was the first of the famous Sting Rays. I can remember their introduction and being amazed at their advanced styling. The fact that they cost about $4200 and I was only fifteen years old at the time precluded my having one. However, the passing of nearly fifty years put me in a position of eventually owning a 63 split window. The car is truly a beautiful machine that makes one want to just sit and look at its slippery fiberglass shape. The wait was worth it. First year for hidden headlights.